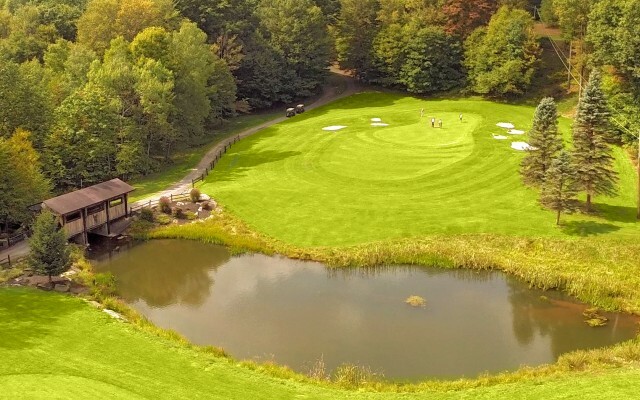 Treasure Lake hosts two of the nicest golf courses in Pennsylvania. Check out our 2019 Stay n Play Packages! As enjoyable as they are breathtaking, the courses at Treasure Lake are set amid the pristine splendor of the resort’s native beauty. Both of our award-winning 18-hole courses offer a restaurant, lounge, and a fully stocked pro shop as well as the area’s best practice facility. We have everything you need to stay on top of your game in a setting among acres of woods, water and wildlife. Both Treasure Lake Golf Courses have unique qualities. This allows golfers to enjoy two different experiences at the same resort. From our Treasure Lake Golf Professional: “You’d be hard pressed to find courses of this quality anywhere for this kind of price”. 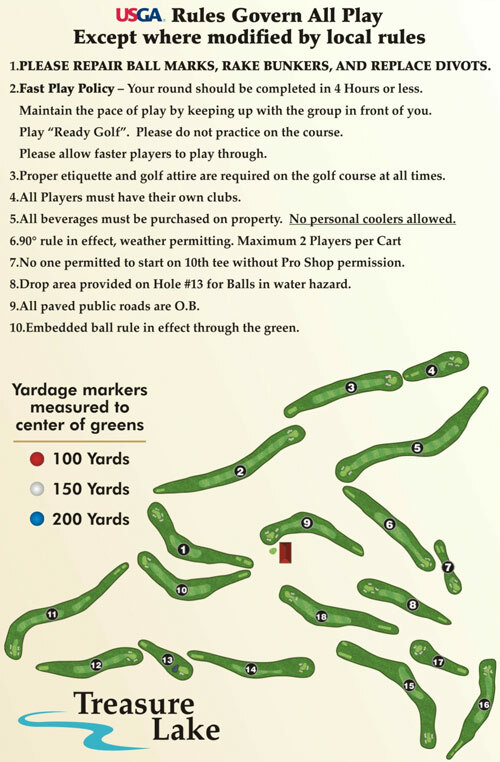 The 6,747 yard Silver Course (par 72) is longer and more “open”. It holds four sets of tees and is maintained with 70 sand traps and water hazards placed across wide and open fairways. Putting accuracy is essential on the Silver Course’s well manicured greens. It offers a great training facility with our golf professional that provides lessons, expert advice and facilitates competitive tournaments and events. The Gold Course has been featured as one of the best and most affordable courses available in Pennsylvania by Golfer’s Digest. This four tee, 6,283 yard (par 72) course is a bit shorter, more wooded and narrower than the Silver, with a lot of gradient shifts, requiring a bit more precision from the golfer. Voted 2018 Best of Tri-County for having the best golf courses in the Tri-County area. 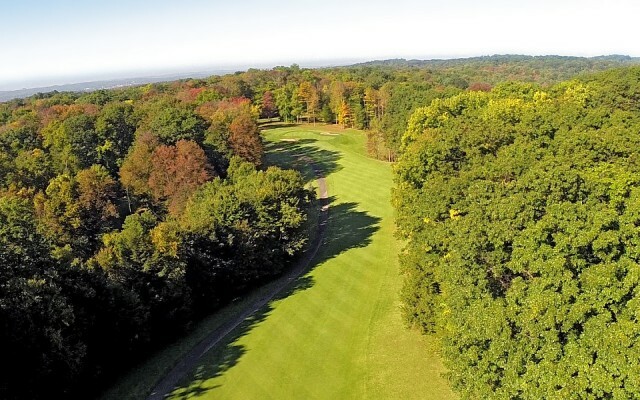 You will surely find that our courses will provide a rewarding day of golf while being in the middle of Pennsylvania’s natural beauty. Both the Silver and Golf courses are open for public play and offer several options for you to enjoy a few hours or the entire day on the course. 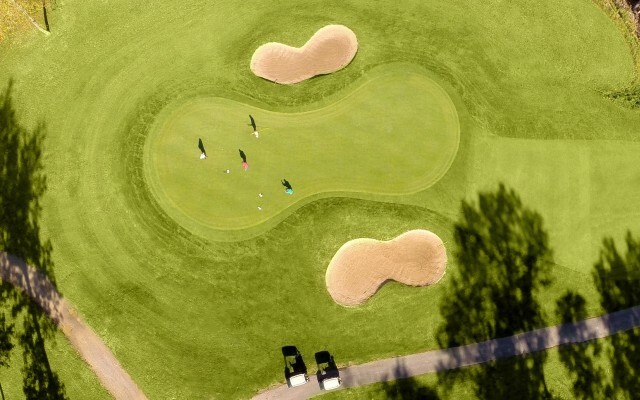 Our golf season starts May 1st and continues throughout the year until April 30th. We offer various golf memberships (single, junior, senior, family) to satisfy all golfers needs. There are several advantages that come along with becoming a member here at Treasure Lake in addition to the opportunity to golf at our two beautiful courses including discounts, special offers and sales. Members enjoy use of the practice facility, invitation to Member-Only Events, preferred Tee Times (Scheduled Two Weeks Ahead) and discounts at the Pro Shops and Dining Establishments. To help encourage youth golf, we established great Junior membership opportunities for both Property Owners and non-property owners. Junior players are 17 years of age and younger. Membership includes range balls. Additional specially-priced junior memberships are available. Membership includes range balls. Junior players are 17 years of age and younger. Family memberships consist of two adults (spouses) and two children (age 17 or under in the same household). Additional specially-priced junior memberships are available. Looking for a great Pennsylvania golf and lodging package? Treasure Lake’s golf packages offer a remarkable range of lodging choices, from cozy to extravagant, and all points in-between. Let our specialized staff handle your lodging, Tee-time, and food menu so you can focus your time on perfecting that incredible golf swing. Whether it’s just an overnight visit or several days of golf, food, and fun we are the best choice for the area’s ultimate Stay ‘n Play. Welcome to Treasure Lake. If you are looking for a great Stay ‘n Play package, we are here to help. For questions, prices, or to book your Stay ‘n Play, please contact us either by phone or email. Treasure Lake Golf has created several golf package options for our 2018 golf season. These packages include golf and food & beverage for groups playing at our beautiful award winning golf courses, Silver and Gold. Package pricing options depending on group size and menu choices. 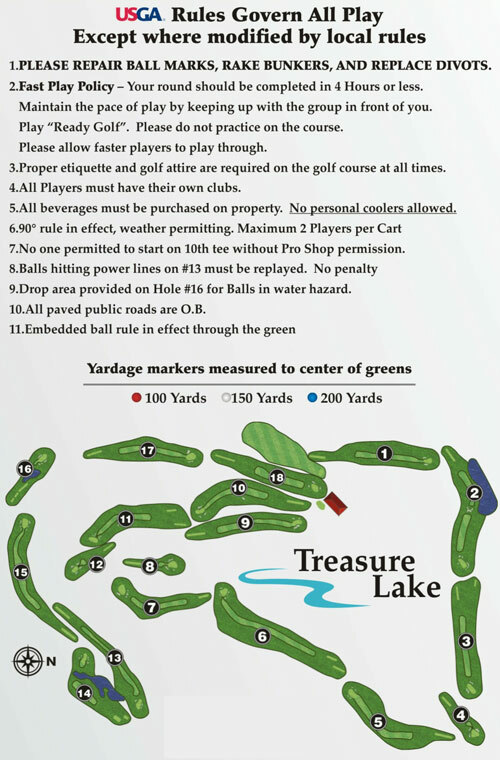 The Treasure Lake Golf Packages that are being offered are the Bronze, Silver, Gold, and Platinum Packages. Please utilize these links to view diagrams and details of our Gold and Silver Golf Courses.